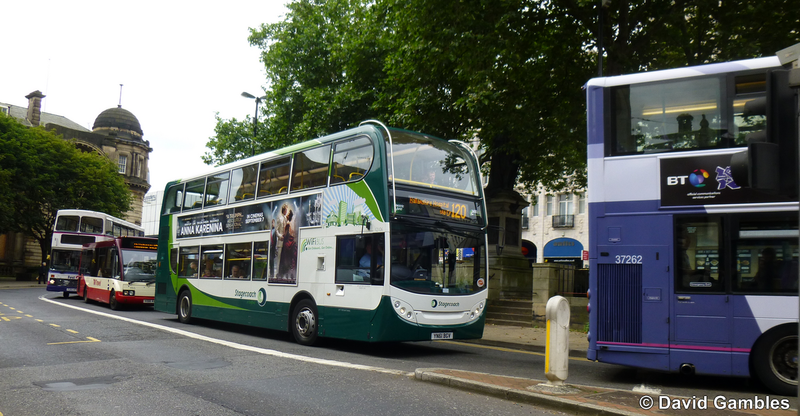 Bus and tram services in Sheffield have joined forces to form the 'Sheffield Bus Partnership', who are working together to plan the network and co-ordinate timetables. The result is 'Simplicity'. It will be much easier to travel around the city, with a new range of tickets that can used on any bus and tram in Sheffield. How will this help travel in Sheffield? More buses with low-floor access. Who’s in the Sheffield Bus Partnership? There will be a new range of tickets called Sheffield CityWide tickets. These can be used on all bus and tram services in Sheffield. CityWide tickets mean more travel options, better value for money and less waiting around. This information is from the Travel South Yorkshire Simplicity web page. Focus Comment. This appears the way forward for large cities. Operators offering tickets that can be used on all buses and trams and services and timetables that are co-ordinated. South Yorkshire PTE and the other parties involved are to congratulated on their efforts to form this partnership.